It’s no secret that bathrooms and kitchens are on the top of most people’s renovation wish list. We use these rooms every day and investing in them makes good financial and lifestyle sense for homeowners. At Brind Built Constructions our team of professionals create dream bathrooms – from design to completion – to suit a variety of budgets. For some clients, it’s a complete renovation to create a new bathroom sanctuary. For others, it’s a simple but effective makeover to update the vanity and shower or bath, while keeping the original layout. 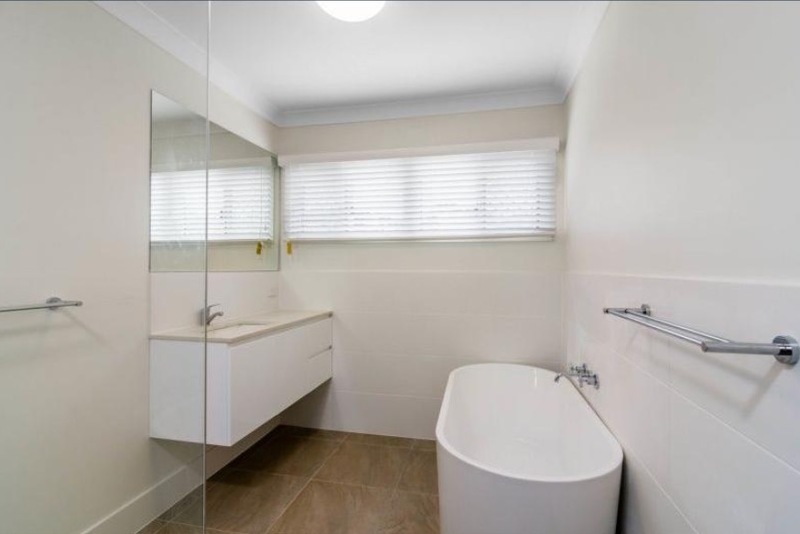 Maybe your dream is a second bathroom! According to the Housing Industry Association, there are now on average 2.6 bathrooms per new home. Many older homes only have one bathroom but they often have spaces that can be adapted to fit an extra bathroom or ensuite. If there’s a way to do it, we will find it! Whatever your project, one thing is for sure: No one wants to be without a bathroom for long. We make it a priority to get the work done as quickly and efficiently as possible, while still maintaining top quality workmanship. 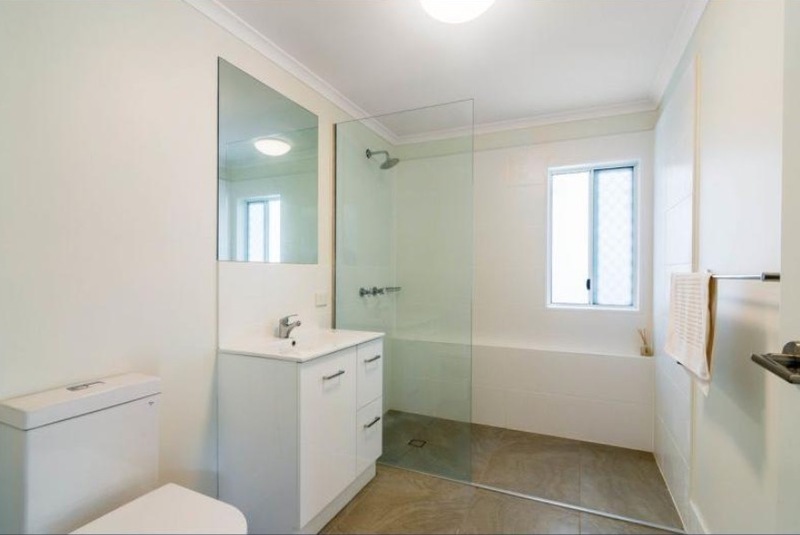 So if you are looking for a Brisbane northside builder for your bathroom reno call Brind Built Constructions. Bespoke mirrors and basins: You’ll be amazed at how much an interesting mirror and basin can change the feel of a bathroom. Swap out that mirrored cabinet for clean walls with a timber-framed or circular mirror. And change your old basin for an above-counter basin sitting on new cabinets. Clever lighting: Fluros are so yesterday. LED lighting and beautiful pendants are now just as at home in a bathroom as a kitchen. Natural finishes: More and more people are embracing the beauty and simplicity of natural surfaces, such as timber, stone and concrete. Add matte black fittings for an industrial edge. Size matters: No-one likes a poky shower. Large walk-in showers and freestanding bath tubs can add a wow factor to any bathroom. Clever designs that include wall-mounted floating vanities and classic white tiling can make bathrooms of all sizes feel more spacious. Scandinavian simplicity: This popular style features clean lines, blonde timber, round mirrors and pops of colour. And there’s a smorgasbord of on-trend accessories in local shops right now. Day spa: Get the resort feel at home with classic white tiles, timber features (such as louvres and towel ladders), matte surfaces, indoor plants, and windows that let in lots of natural light. Metallic glamour: Add some opulent touches to your bathroom with hexagonal metallic tiles, tapware in rose gold, brass or chrome, and luxurious towels.